Black Series Portable Ping Pong Table Kit Just $18.99! Down From $50! You are here: Home / Instagram / Black Series Portable Ping Pong Table Kit Just $18.99! Down From $50! This should be fun! Groupon has this Black Series Portable Ping Pong Table Kit on sale for just $18.99 down from $50 PLUS FREE shipping for orders over $35! 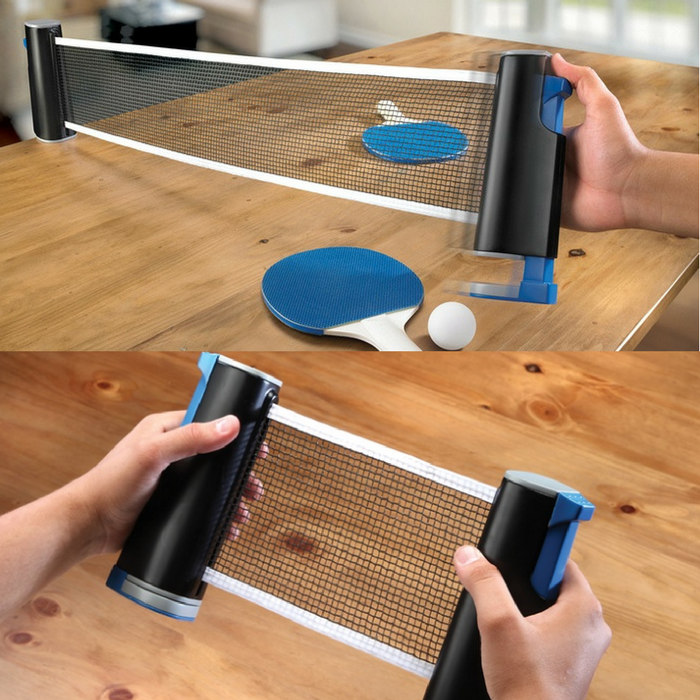 This portable kit’s retractable nylon net clamps onto the edges of almost any ordinary table, converting the surface into a table tennis court where players can exchange volleys with the included paddles and balls. This is a great game the whole family or your friends can enjoy!